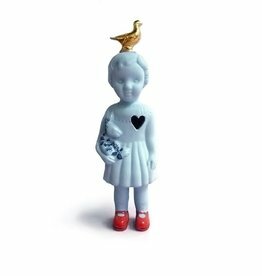 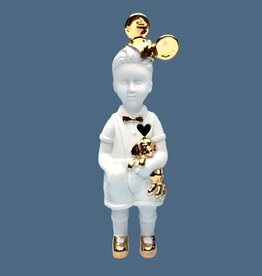 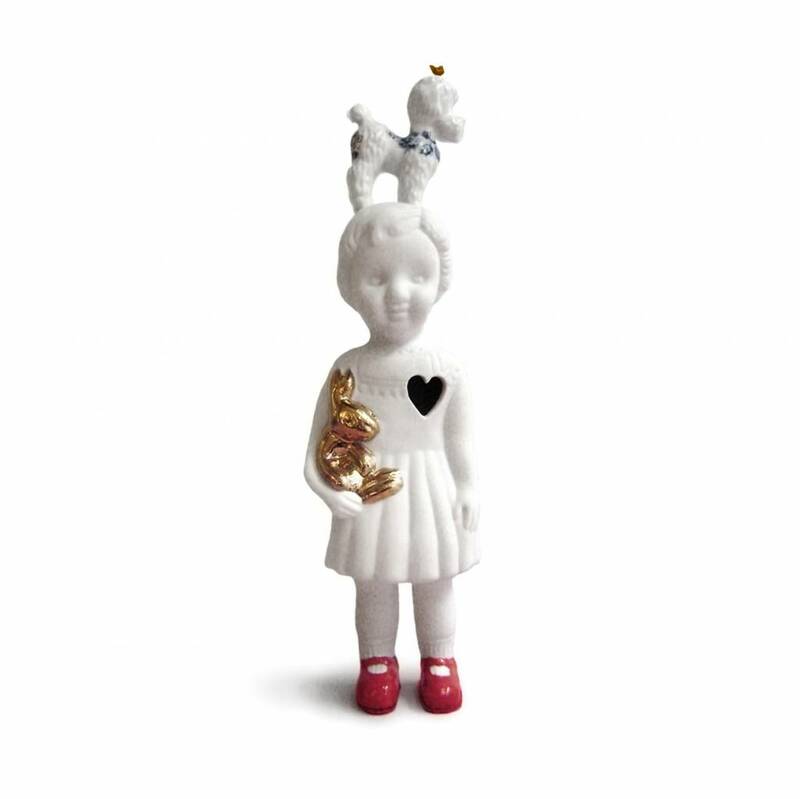 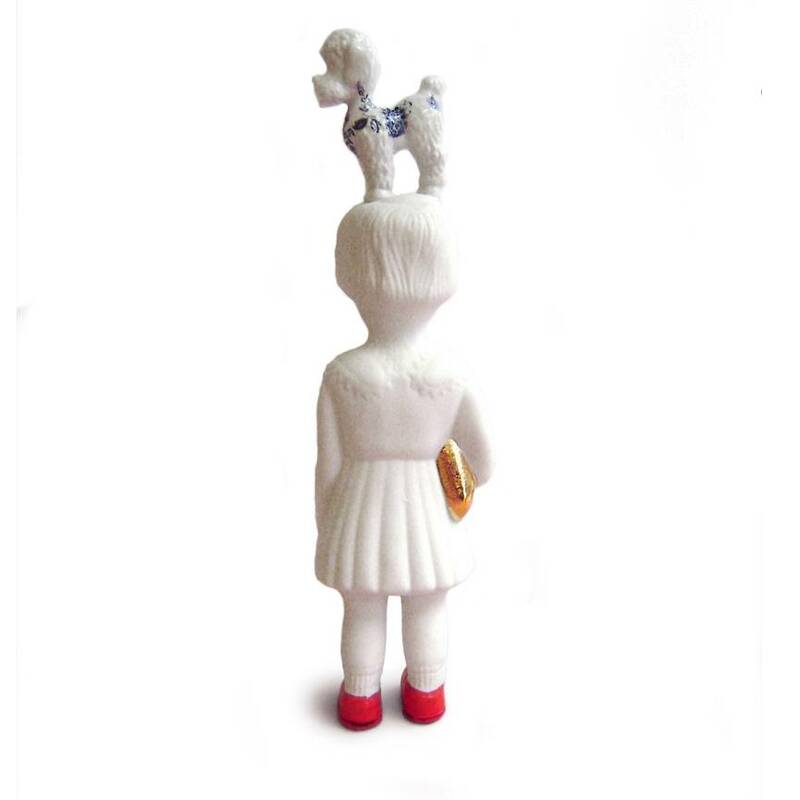 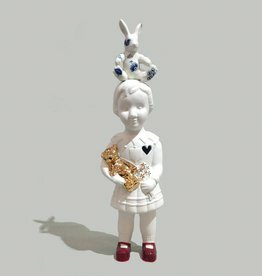 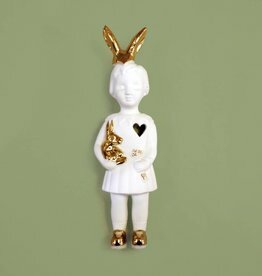 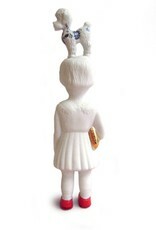 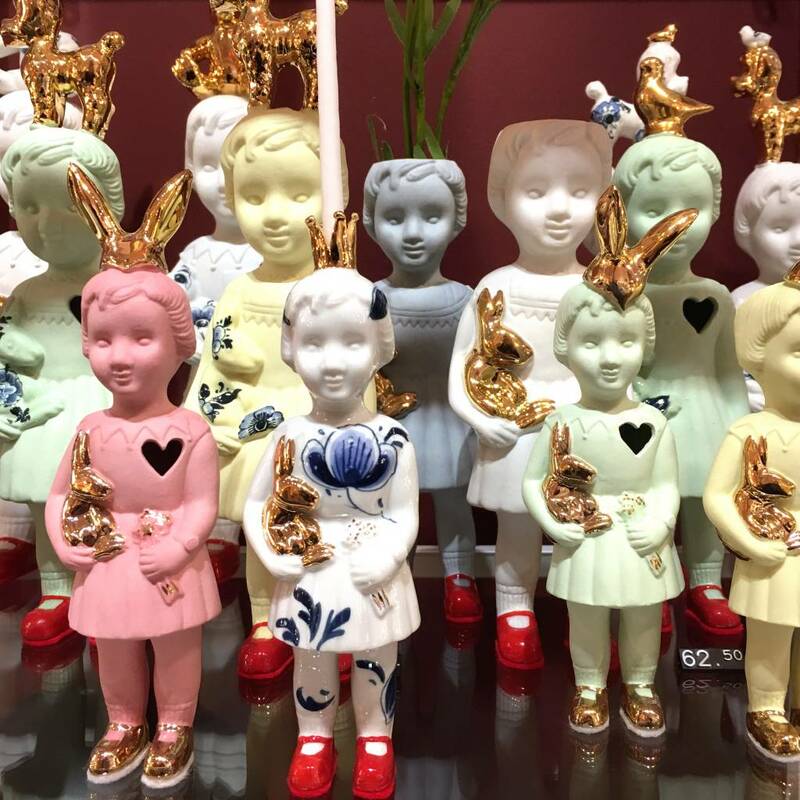 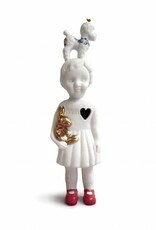 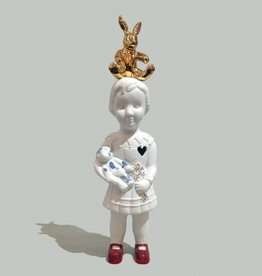 Matte white porcelain figurine girl with a poodle on her head. 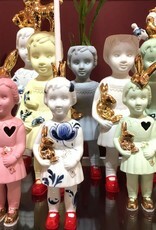 Details in gold and Delft blue. 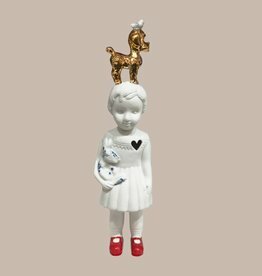 Hand made in Holland by Lammers en Lammers in Haarlem.